I woke up craving pizza today! 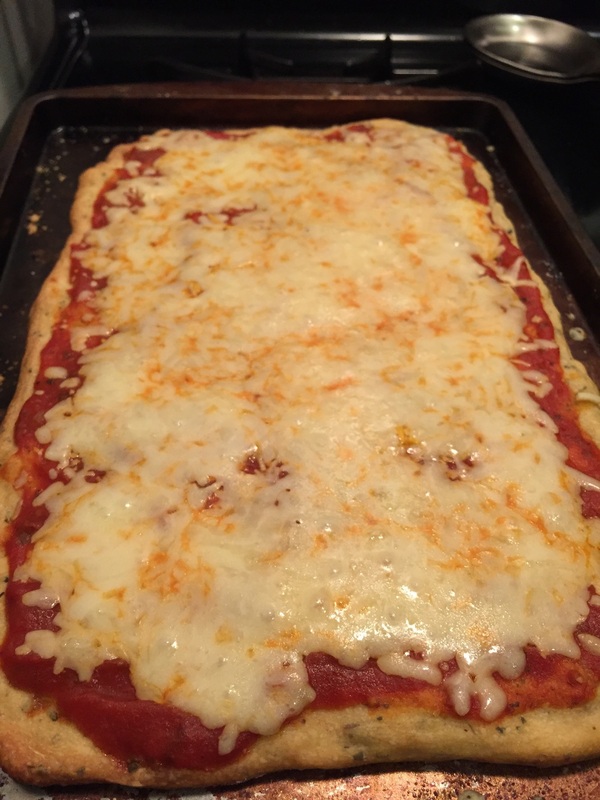 Here's another eggless pizza crust recipe... I spiced up the crust to give it a more flavorful, restaurant taste. I also added homemade pepper sauce into the marinara - I'm happy with the results, so here's the recipe! In a large basin, combine all dry ingredients & stir until incorporated. Add the olive oil & warm water - use a plastic or rubber spatula to stir the mixture into a dough. You just want the dough to be combined, don't over-knead it. It will be sticky, but that's what you want. After the dough rises, preheat your oven to 325. You'll need 2 cookie sheets if you don't have a pizza pan. Spray the cookie sheets with Pam & then sprinkle dry flour over the Pam to ensure the pizza crush doesn't stick to the pan. Use your hands to split the dough into 2 pieces, then stretch it out onto each pan, into an even rectangle. 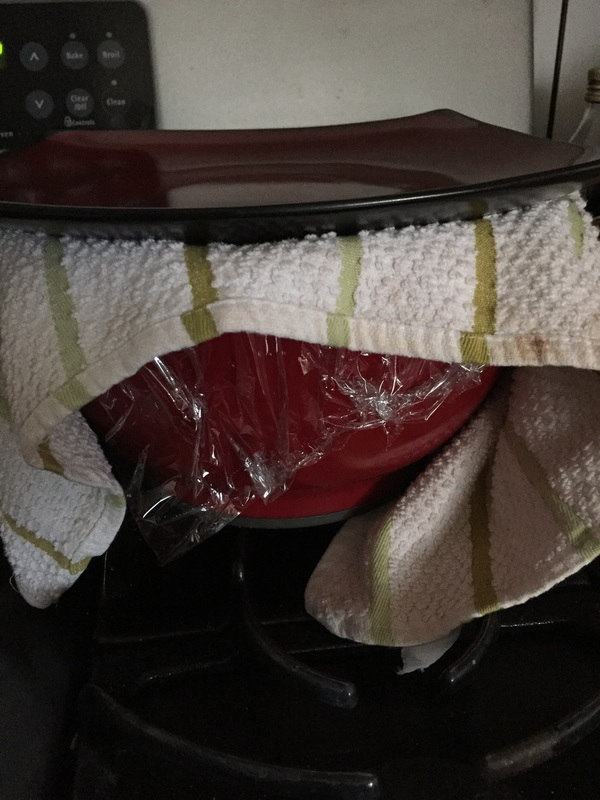 Put the dough in the oven for about 15-20 minutes in order to ensure the crust is cooked through. Take the dough pans out, top the dough with marinara sauce, pepper sauce & toppings of your choice, then pop it back into the oven for another 10-15 mins or until the cheese is melted.